My Fossil picks for their Spring Collection 2018. A nice Haskell Workbag and the Q Explorist Silver/ Luggage Display Smartwatch. Perfect additions for on-the-go kind of person. Special thanks to Javier Gonzalez & Jeanette Nevarez for helping direct, set, and photographing these products! Click on each shot for a direct link to the Instagram post. On my second #FossilPartner mission, I trekked out into Austin's city nooks and corners, to bring you some of their Winter collection. The Defender Double Zip Workbag and the Minimalist Watch were my choices from this collection. 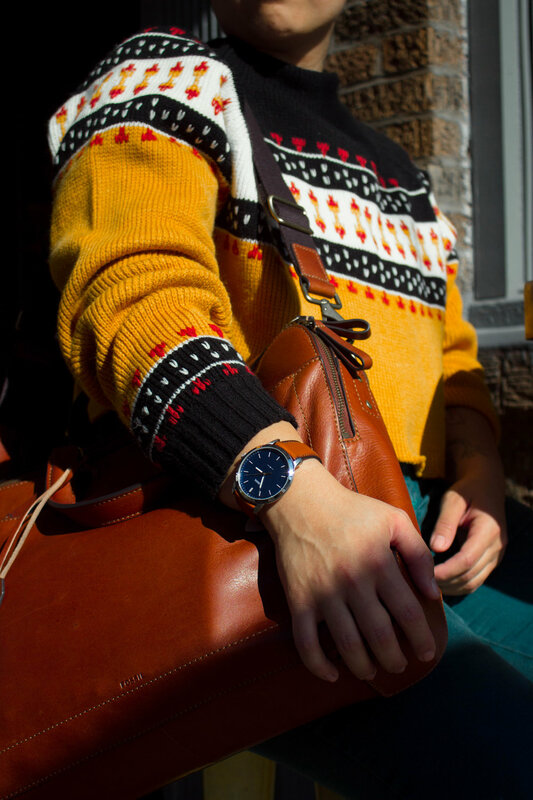 With minimal backgrounds and Saakred's colorful winter attire, both the workbag and watch look their best. Run over to their store or online store and see what else they have waiting for you! As part of the Fossil Partners Program I was on the mission to introduce some of this year's Fall products, which include the Summit Backpack and the Q Activist Hybrid Smartwatch. Click on each link which will take you directly to my instagram post covering each product. 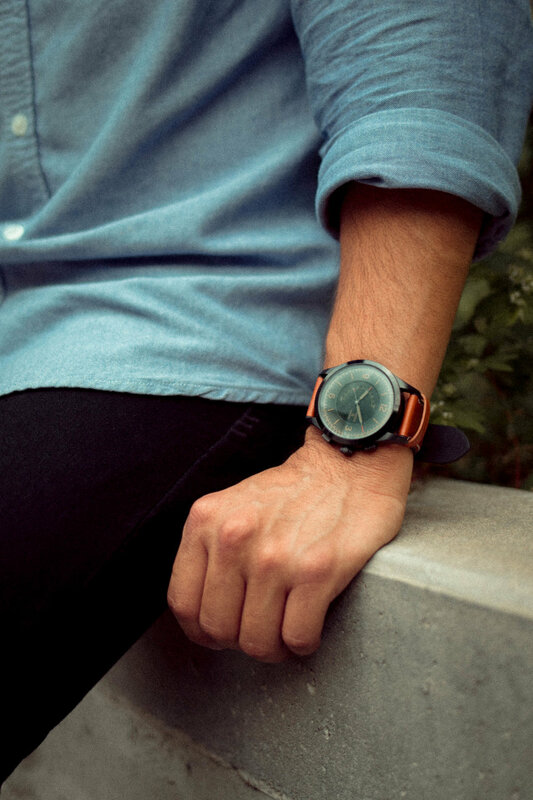 Join the movement by hashtagging your social media posts with #FossilFirsts! Shot by Javier Gonzalez, edited by me. Thinking about all the coffee shops I’ll be visiting this fall around Austin. Where do you find comfort during this chilly season? Do you go out to read? Studying for a test? Or are you just a coffee shop enthusiast? Whatever your reason make sure to check out @fossil list of must haves this season like this nice sleek black Summit Backpack and the Q Activist Hybrid Smartwatch.